Before I get into the useful makeup tips let me tell you how much I love these eyeglasses. Yes I said love and love I do mean! I went out of my comfort zone when picking this pair out and I'm so glad I did. They are such a classic, retro, fun style that is sure to get others to notice them. I've never had so many compliments on a pair of eyeglasses! And honestly, if I were to see this pair on someone else I think I would compliment them too! They're very eye catching. My favorite detail is their size and shape. They rock this beautiful round shape and the lenses are bigger than the average lens which I think adds to it's uniqueness. The fact that the lenses are bigger than the average squared lens I'm used to helps make my eyes appear bigger which is always a plus for me. This gal doesn't want teeny tiny eyes! Another thing I appreciate about these eyeglasses is how my long eyelashes don't hit the lenses every time I blink- and I do blink more than the average person. What can I say, I'm a blinker. I would always have to wear any pair of eyeglasses a little lower on the bridge of my nose to avoid a "lash meets lens" situation but I no longer have this problem with this pair! Hallelujah, now I can blink away! These aren't the only fabulous eyeglasses Firmoo has available. 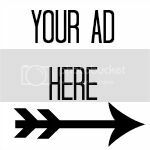 If you visit their website you will find a great selection of styles that is sure to please anyone's taste. They provide impressive service and my eyeglasses arrived very quickly with no damage to them. 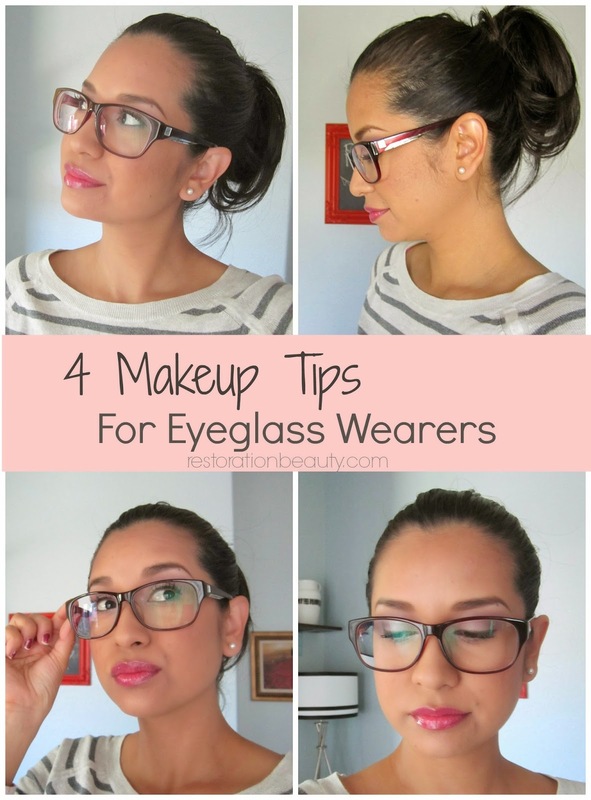 With that said, I think any eyeglass wearer would appreciate some makeup tips that will help keep the face balanced, right? 1. Fill in those eyebrows, gals! 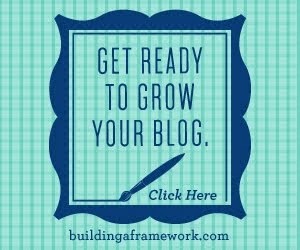 They can get easily lost behind your frames but filling them out brings back their purpose- to frame your face! 2. Conceal, brighten and highlight the under eye area. Your eyeglasses have a tendency to cast a shadow around the area you least want any shadows- your under eye area! Shadows around this area will make you look tired and older so counter attack these "eyeglass shadows" by using a concealer under your eyes and taking the concealer all the way down to the apples of your cheeks and towards the temples. Add a little highlight to the your cheekbones for an extra brightening effect. 3. Bring out your eyes. Just like your eyebrows, your eyes can get lost behind your eyeglasses or even appear smaller so be sure to not ignore them. Use eye shadows, mascara and liner to enhance your eye shape and bring them back to center stage. Don't be afraid to play around with colors and techniques. 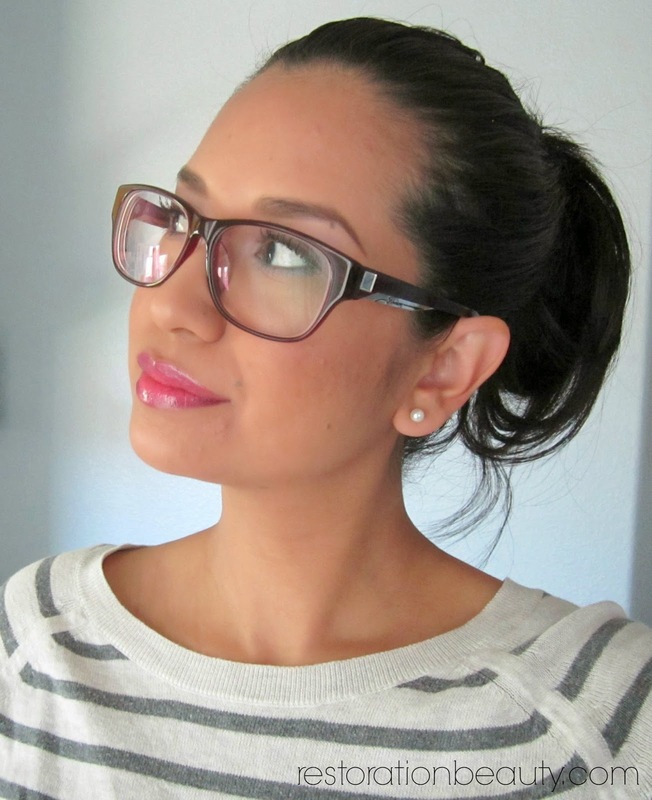 Just because you wear eyeglasses doesn't mean you always have to rock a neutral work eye look. 4. Don't forget about your lips! Balance everything out by adding some color and/or gloss to your lips. 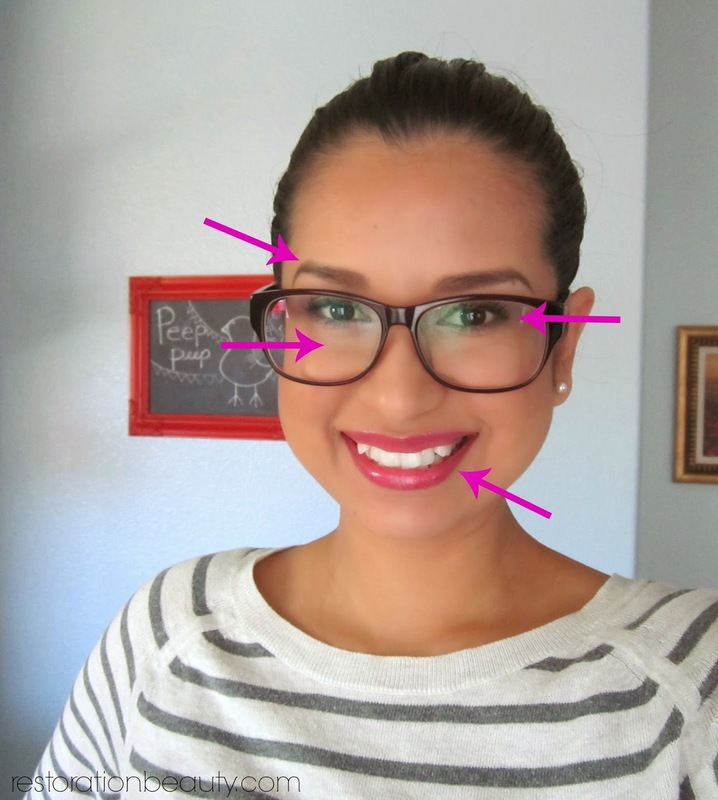 People naturally are drawn to the top half of your face when you're wearing eyeglasses so give them a reason to look a little lower by adding a pop of color to the kisser. Do you wear eyeglasses? 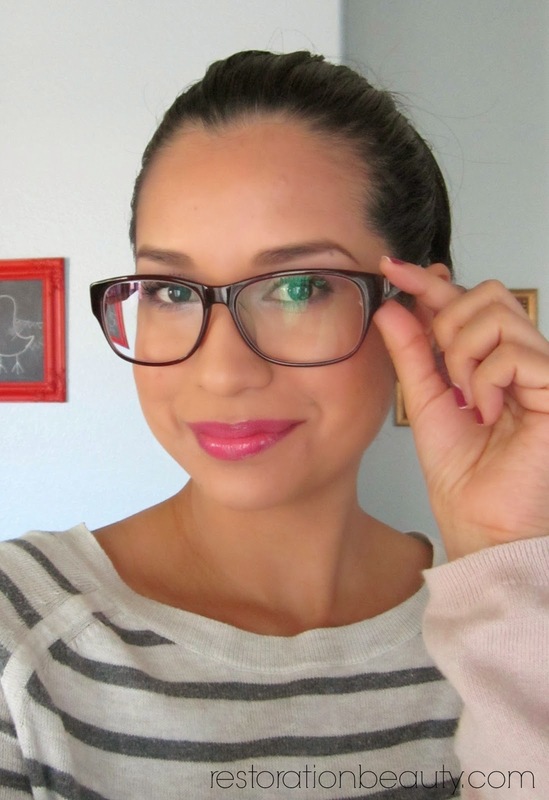 What are your favorite styles and do you have any makeup tips for eyeglass wearing gals? Please do share! You can find more useful beauty tips by visiting my Beauty Page. Wow, it's pretty amazing with what you can do with your makeup to accentuate the beauty of your eyes! Most people ignore tip two where you brighten the area under your eye, which gets a little darker from the shadows from the glasses. 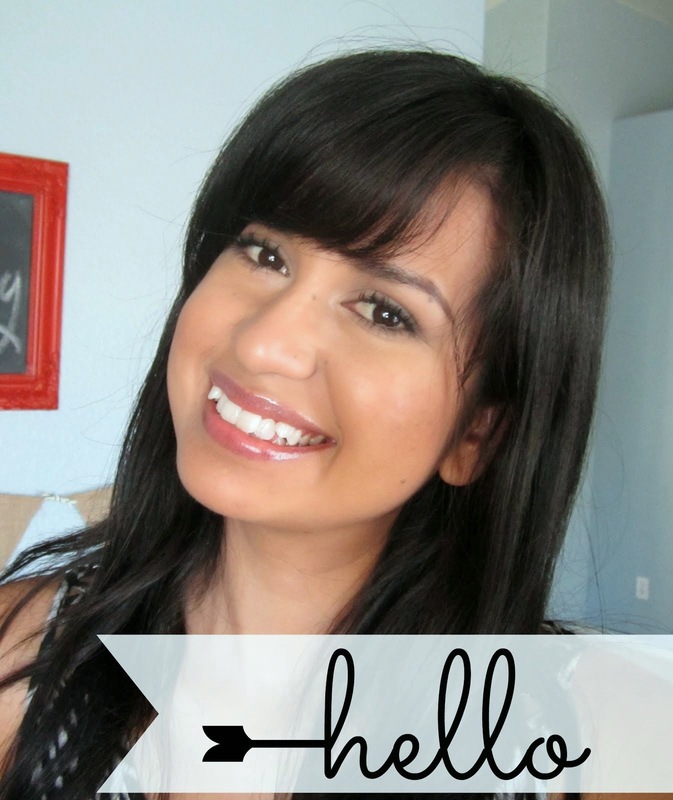 I'm totally going to give these makeup tricks a try after I get my new eyeglasses! I can't wait to see how good I look after I try all of your fabulous ideas to make your eyes pop under those eyeglasses. Thanks so much! I really like firmoo glasses. Actually we always recommend at Optometric Services Inc. Thanks also for the tips.. I like this stylish setting! Glasses look great with your dark hair and big eyes. It is very difficult to choose quality yet stylish glasses. But you succeeded. By the way I've found mobile app with thу help of google play store alternatives which help to try any glasses online. I wonder if such a color fit the blondes.